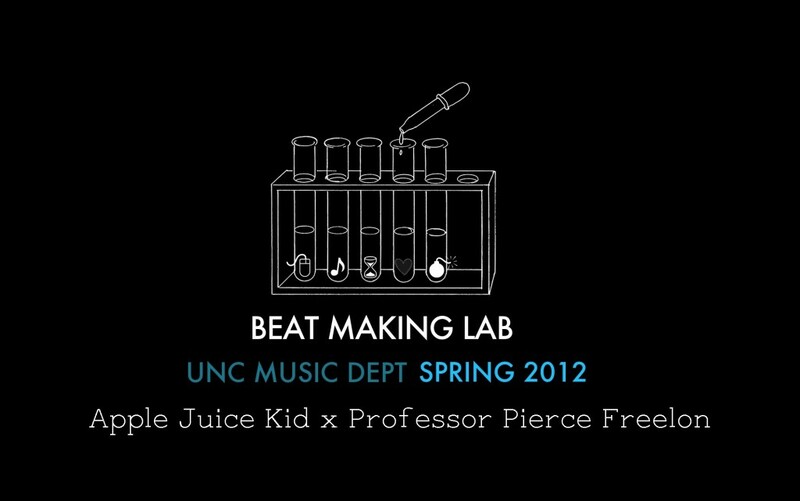 Pierce is teaching a Beat Making Lab in UNC’s Music Department with beat battle champion Apple Juice Kid this Spring semester 2012. Originally founded by Dr. Mark Katz and AJK, the course teaches 20 lucky students how to produce music using the open-source software Audacity, Reason 6 and Abelton Live. Like on facebook.